Packed with 3,300 lumens and a high contrast ratio (22,000:1 in DynamicEco® mode, or 2,400:1 typical), this projector is guaranteed to produce bright images in any environment – even in rooms with high ambient light. 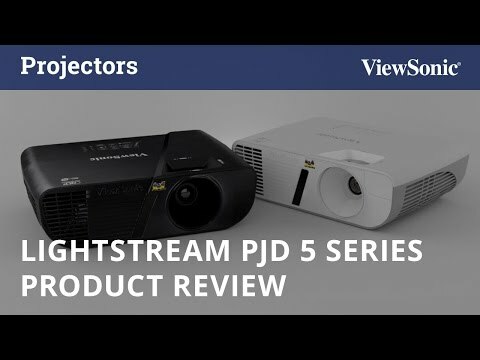 Following a groundbreaking proprietary speaker transducer and chamber re-design, LightStream projectors deliver full-range sound 20Hz – 20KHz for presentations or off-the-clock home entertainment. The compact speaker takes pride in quality sound with best-fit Sound Response Curve, and high efficiency of transferring electric power to sound power. They sound stronger, offering more concentration, letting sound travel farther. The 2-watt speaker is powerful enough to fill you meeting room with wall-to-wall sound – an improvement over the speakers of competing products in the same class. With the Smart Restart feature enabled, the projector can be quickly restarted from standby mode without waiting for a power cycle to complete. Video: NTSC: NTSC M (3.58 MHz), 4.43MHz PAL: PAL (B, D, G, H, I, M, N, 60) SECAM: SECAM (B, D, G, K, K1, L) SD: 480i and 576i ED: 480p and 576p HD: 720p,1080i, 1080p"